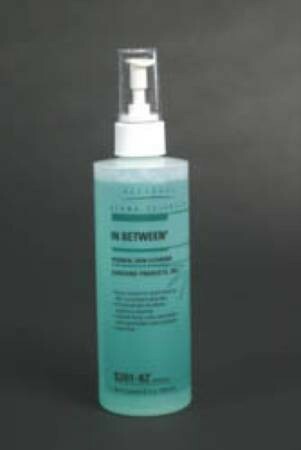 In Between is a Perineal Spray Skin Cleanser & Incontinence Deodorizer. In Between Perineal Spray provides clean up of all body exudates. Manufactured by Derma Sciences, In Between Perineal Spray Skin Cleanser & Incontinence Deodorizer eliminates odor from urine and feces. This Incontinence Cleanser gently and thoroughly cleanses the entire perineal skin area, leaving the patient with a fresh feeling. In Between may be sprayed directly on the skin, clothing, bed linens, floors, carpets, furniture, walls, soil mass, or any other surface that needs to be clean and free of odors. This Skin Cleanser cleans, refreshes and soothes skin. Derma Sciences In Between Perineal Spray Skin Cleanser will not leave soap film. No rising is required with In Between Spray. Containing an antimicrobial, Derma Sciences In Between Perineal Spray Skin Cleanser & Incontinence Deodorizer eliminates cross infection agents. Cleanses the entire perineal skin area. 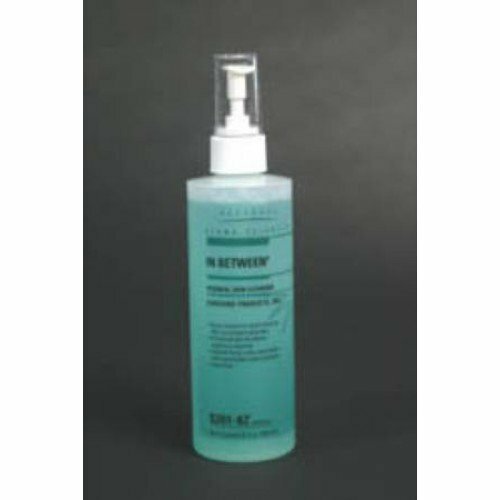 In Between Perineal Spray Skin Cleanser & Incontinence Deodorizer Product Number: S201-1G, S201-8Z. Size Options: 1 gallon or 8 ounce. Container Options: Spray bottle or refill jug. Great cleanser that eliminates odor and leaves you feeling fresh.